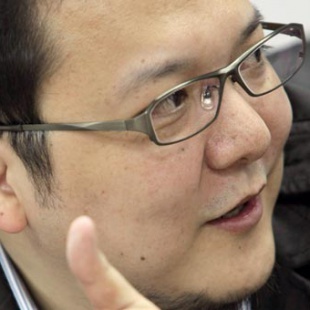 Dark Souls director Hidetaka Miyazaki has been made president of From Software. At the end of April, Dark Souls developer From Software was purchased by Japanese publisher Kadokawa. It was a move that was likely driven by the success of Dark Souls and the increasing popularity of the franchise as a whole. That in mind, it's recently been announced that the studio will be undergoing a change in management that will see Dark Souls director Hidetaka Miyazaki claim a new position as the studio's president. Miyazaki's promotion came as part of a series of personnel adjustments that additionally saw the upward movement of producer Masanori Takeuchi who worked on Dark Souls' predecessor Demon's Souls. Miyazaki himself directed both Demon's Souls and Dark Souls in addition to supervising the development of Dark Souls II. He joined the studio in 2004. What will be interesting to see, of course, is how Miyzaki's enhanced role affects the company overall. Just personally, as a fan of both Demon's Souls and Dark Souls, I'd love to think that his taking the reins of the studio will mean even more games in that same vein of hard but incredible RPGs. That said, we'll have to wait and see what his new real means and where From Software goes in the expanding wake of its acquisition by Kadokawa.